Kris Wu has been trending internationally with accusations of rigging the iTunes chart. 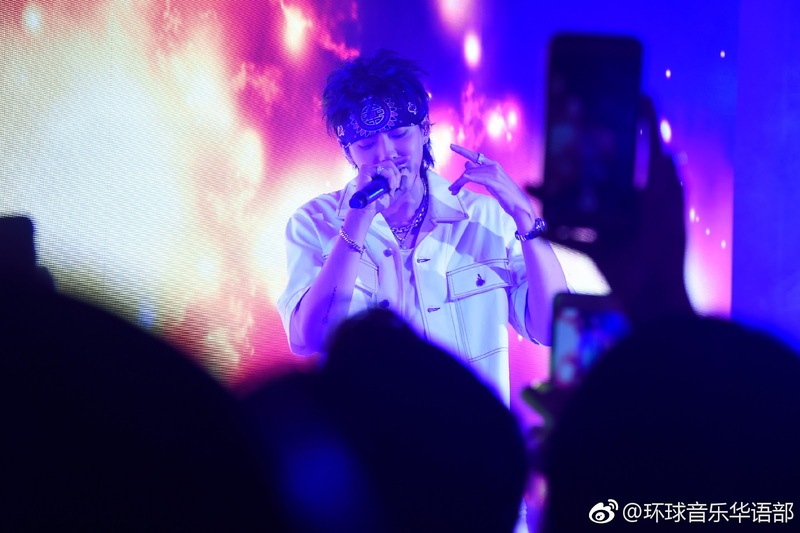 The singer released his Antares album on iTunes on Friday, earning 7 of the top 8 spots even after the release Ariana Grande's new single, "thank u, next." Did Kris Wu really cheat iTunes? I don't think US fans has an idea how crazy determined Asian fans can get when supporting their favorite idols... this is just one example. Following the the delay of the album's release in China for Kris Wu's birthday, I don't think topping iTunes chart is impossible. And don't forget China is a great consumer with a billion population. Meanwhile, for those who are still claiming the sales are from bots, don't you think they underestimating the music company's security too much? The news further exploded with Ariana Grande liking negative posts about Kris Wu on social media, which fans took as her 'support' on fraudulent claims. 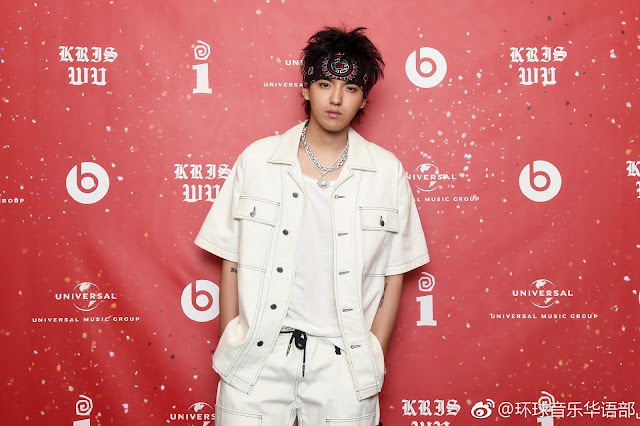 Variety previously reported an insider statement which says Kris Wu’s album sales were "acquired fraudulently and will not count toward the iTunes sales chart reported to Nielsen and disseminated by Billboard," the insider added that the decision to “suppress those sales numbers” was made due to the abnormally high-volume of sales for the artist's record. 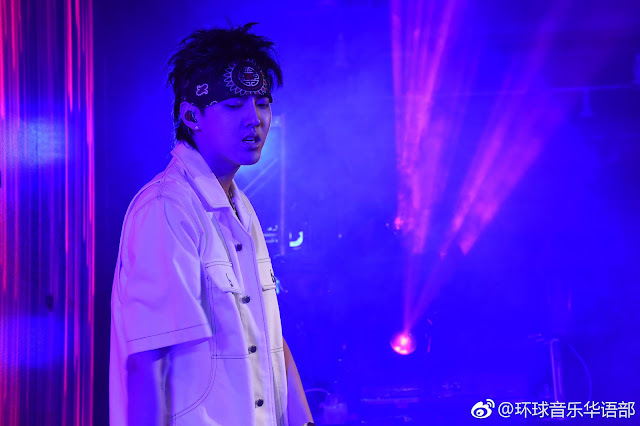 On another note, what do you guys think of Kris Wu sporting a Dao Ming Si hairstyle in the Antares release party? 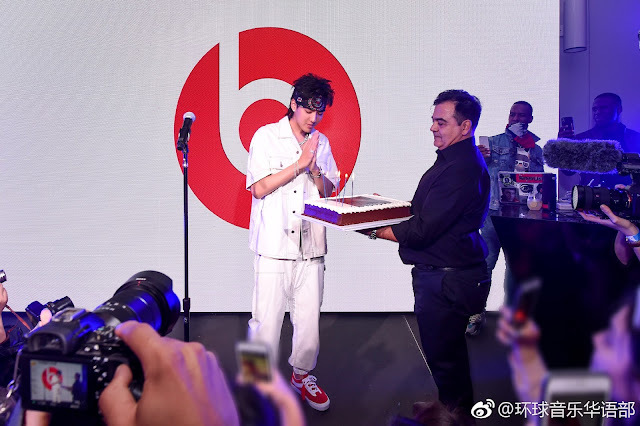 His chinese fans have blown all this out of proportion and messed up with the US chart sales and his career, as if his talent is not already been questioned by his antis and haters and now his #1 itunes sales from his previous songs due to his chinese fans using vpn have got his head 'swollen' thinking he had made it in the US. But all is not lost, this could actually be a good thing, gives him more exposure in the US and maybe from now on he will know how many real US fans he will acquire in the future with another song on itune sales. Kris and UMG might have not used bots which are illegal but his fans mass cheated and used VPN to buy his music to top US itunes despite being unknown, outcharting Ariana before itunes corrected the charts. As far as it matters, it's still illegitimate and paints a bad picture for Chinese actors. Kris and his fans insinuated that this is down to racism and xenophobia but really...it's just calling him and his fans out. This has happened before anyway, he tops US itunes but doesn't even scratch Canadian itunes or itunes in other countries. His fans went overboard but at the end of that day, they still purchased his music/album off iTunes that was sold via the US store. It was planned by the fans since the album was not available anywhere else. It is definitely a loophole and my guess is that Apple doesn’t care as long as there is real sales. In this global world and especially for the digital music, where more and more fans have access to all the music market, does it matter? Like fans of KPOP and JPOP have been influencing charts in Korea and Japan too right? He’s been so annoying recently. Maybe it’s the I made it big in the US or something. It's definitely VPN purchases. If it were anywhere near organic, he would be moving numbers in other countries with prominent Asian-descent communities, which is his main market, such as Canada and UK. The fact that it's centered just in the US shows that it's an organized movement to direct purchases to one location (US) from other places. 14 million downloads in one day from the US alone is a ridiculous number, but makes complete sense if it were from China, seeing the numbers they can pull in with online drama views. "I don't think US fans has an idea how crazy determined Asian fans can get when supporting their favorite idols"
I want to now where do Asian fans get the money for all this? The sheer amount of money they drop on their faves is crazy. They can't all have rich parents.